We proudly present the Royalton Hotel Faisalabad. We are working to provide services to our customers. We have proud on our loyal customers and we believe in them. We have a different approach in hospitality industry. Our creative department always design something new for our customers. We have a clear eye over the needs of the tourism and hospitality industry. We are interested in making our customers happy and fulfill their requirements. Our vision is making new landmarks in the hotel industry. We are trying to capture the industry and making renovations in cuisine. Meanwhile, we also know that our hotel does not run in a vacuum. We are part of society and the environment. So we are aware of our responsibilities towards both. We know if we want to prolong our existence we need support of our society. We cannot live or prolong our business if we don’t respect our nation and our country. 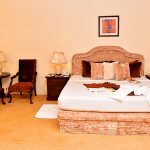 In 2008 Royalton Hotel was established in Faisalabad, since then Royalton Hotel is proudly serving the citizens of Faisalabad. Royalton Hotel always follow International Standards of health and safety, for their services and products.We use fresh ingredients for producing mouthwatering and delicious food. In addition to that the impeccable decor, soothing atmosphere and delicious food will bring delight on your family table. We enhance your precious moments with our delicate and delicious cuisine.At present Royalton Hotel is working only in Faisalabad, but have plans to expand the business in all around Pakistan in near future. Our location near canal road make us easily accessible in Faisalabad, we love to serve. 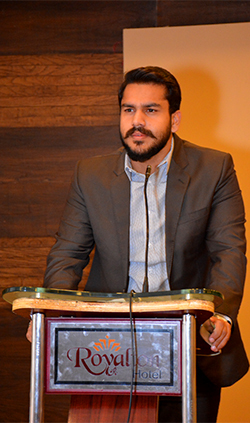 Fairness is the prerequisite of our Management style here at Royalton Hotel, Faisalabad, Pakistan. Simply take care of your people, who will take care of your guests & rest of the business, will take care of itself. I have a team which look after the physical side of Hotel & rest is looking after the customer’s side. We believe in perfection. We strive to serve our guest at the best. We enjoy serving our customers and guests. Perfection is our trademark, both in products and services. Our food is delicious and our services are pleasant. Our mission is making citizens of Faisalabad satisfied. The staff of the Royalton Hotel is its greatest asset. Their dedication, professionalism, and friendliness have helped build to be the success it is today, and they do all they can to constantly improve so they can continually provide the best services. They are always ready to face new challenges. They listen to the customer carefully, and then plan things accordingly. Royalton Hotel has started their Business in 2008. It has been following International standards for both of its products and services to grab the attention of maximum targeted audience.